This construction video focuses on details of slab reinforcement. 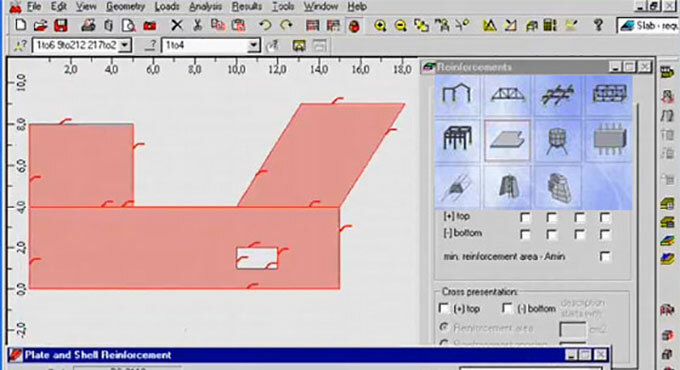 Before making estimation for reinforcement, supports, load cases or combinations must be determined for a slab. The following step should be determining reinforcement parameters. Parameters of slab reinforcement type rely on choosing a code utilized in slab design. Prior to begin FEM estimates a finite element mesh is produced on the slab. Once the results for static analysis are obtained, the following step is to estimate necessary reinforcement. The produced results may be shown as a map as well as isolines, crosses, values.